The Bloodworks Bloodmobile at S.W.C.R.’s first blood drive in October 2018. 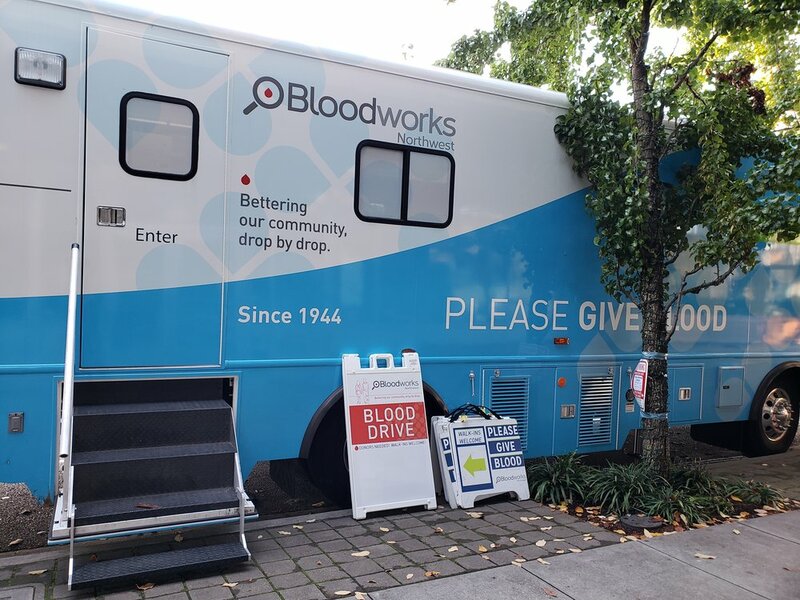 SWCR partners with Bloodworks Northwest twice a year to host biannual blood drives in the South Waterfront neighborhood. Bloodworks Northwest is a non-profit organization that has been serving the Pacific Northwest for over 70 years as the exclusive blood provider to all Providence & Legacy hospitals in Oregon. SWCR’s next Blood Drive will be March 27th, 2019 from 12:00 pm to 6:00 pm located at 3606 SW Bond Ave. (right in front of Subway). The first 12 donors will receive free Blue Star Donuts plus every donor at our drive will be entered to win 10 free classes to Orangetheory Fitness. Sign up at: www.bloodworksnw.org/donate or call 1-800-398-7888. Walk-ups are also welcome. Please remember to bring a photo ID.